We thought about what we want, as riders, when we’re shopping for saddle pads and then we brought it to life: outstanding quality, classic styling, and unbeatable prices. 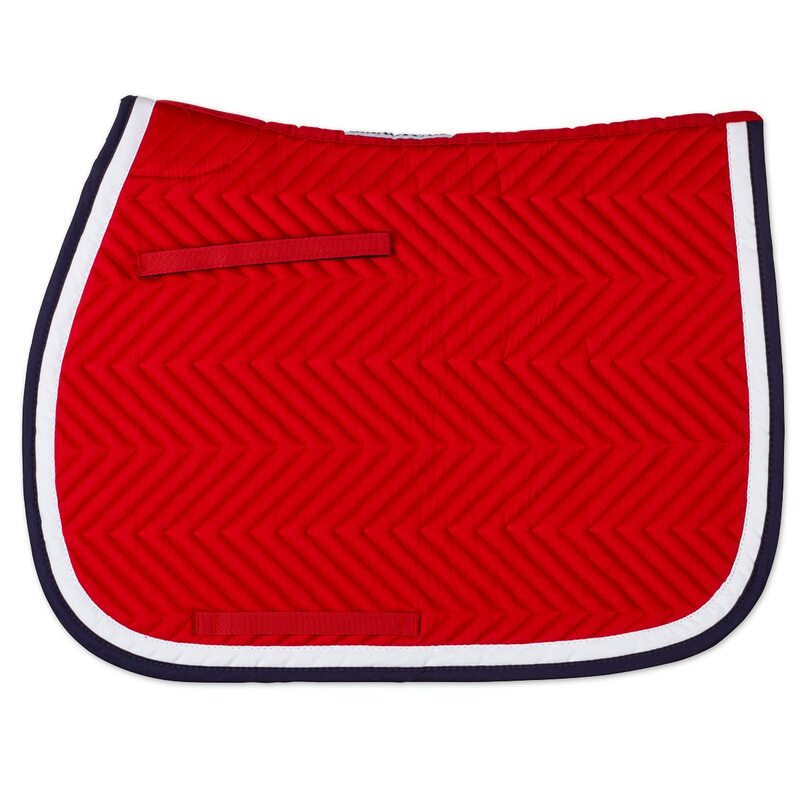 Show off your pride for the red, white, and blue with the SmartPak Chevron Americana AP Saddle pad! Featuring a specialized cut to offer wither relief and a patriotic color scheme in a fun chevron quilting pattern, this will be your new favorite saddle pad. It’s lightweight and breathable to keep your horse cool and dry and also has soft quilting to keep your horse comfortable. Designed to fit most all purpose and close contact saddles, this pad has sturdy billet and girth straps to help keep your saddle in place while you ride. Plus, it’s easy to customize with a monogram, name, or barn logo to match your style. This is the perfect schooling pad! The Equine Comfort Products Sheepskin Contour Pad is lightweight and breathable to regulate temperature and wick moisture away. Made from genuine sheepskin.